Students will close-read a narrative primary source (a letter from Julia Adelaide Shepard, an eyewitness to the assassination of President Abraham Lincoln) and use it as a mentor text for creating their own piece of narrative writing. We offer ready-to-use history lesson plans focused on how to teach President Abraham Lincoln's assassination and the Civil War. In addition to our on-site programs and resources, we offer online resources and tools to use in the classroom. Explore the life, leadership, death and legacy of Abraham Lincoln through primary sources and lesson plans developed by our education staff and master teachers. Choose what works for your needs. Lessons are written for Grades 1-3, 4-5, 6-8 and 9-10. 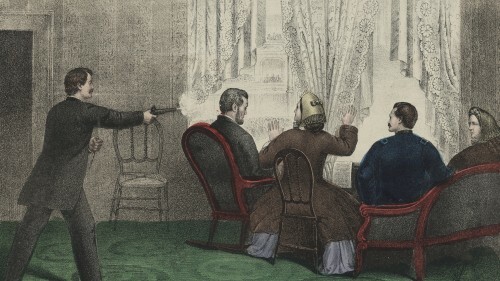 This lesson uses primary source documents to investigate why John Wilkes Booth killed President Lincoln and what people around the country thought about it. Students will learn how to annotate historical speeches to identify and articulate the author’s point of view, purpose, historical context and intended audience. Remembering Lincoln is our award winning online database that compiles primary sources illustrating the reaction to Lincoln’s assassination. Browse or search the database to find newspapers, letters, images and more to help students learn about how a divided nation responded to tragedy. You can also view existing teaching modules, create your own, or explore curated collections to use in your classroom. Few people dispute the influence of the major events from 1850 to 1861 on the outbreak of the Civil War. Yet, historians offer different interpretations of why war occurred and whether it could have been avoided. Students will engage in a Socratic seminar-style group discussion about the cause and inevitability of the Civil War. Students learn to annotate a historical speech to identify and articulate the author’s point of view. This lesson should precede a reading activity on the Emancipation Proclamation. Students will develop their own point of view about the issue while exploring the points of view of others. They will then design a monument to replace the Confederate monuments that have been taken down or to memorialize a significant person or event in history. Students will learn about Confederate War monuments and the recent push to remove them, as has recently taken place in New Orleans. 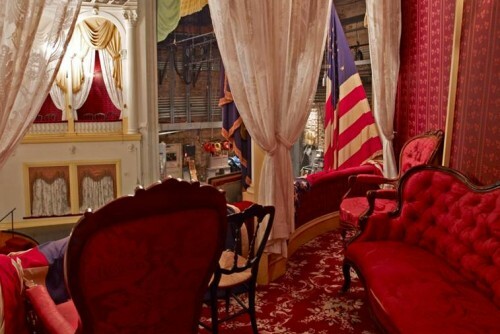 Bring your students on a virtual tour of Ford’s Theatre. 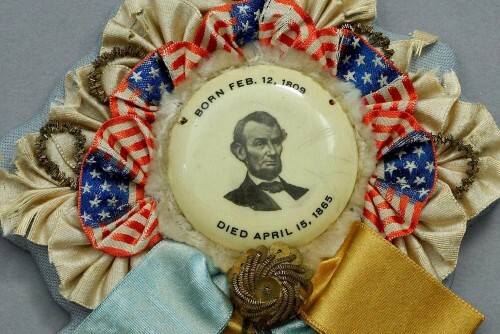 See inside the Presidential box and learn more about the events of April 14, 1865. Investigate the place where Booth murdered Lincoln. What clues does the scene yield to the plotting of the assassination?